In a conversation with Wamda contributor and founder of GEDS Business consultancy Gulay Ozkan, journalist Simran Sethi explains how startups in emerging markets can adopt a more sustainable approach that will increase profitability, and why startups in emerging markets have a chance to take the lead in innovation when it comes to developing sustainable practices. "In order to be sustainable, you have to be creative… innovation is inherently a part of sustainability thinking," she says. "I think startup companies are absolutely well-positioned to take the lead in this area, because they are more agile, because they are smaller outfits that have a greater opportunity to perhaps in new ways, develop products that are new, [and] create different ways of differentiating themselves in the market." Sethi is known for teaching and reporting on sustainability, environmentalism, and social media for social change. She was named “the environmental messenger” by Vanity Fair and a “top ten eco-hero of the planet” by The Guardian. 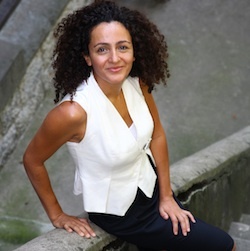 Gulay Ozkan has more than 12 years experience in the entrepreneurial ecosystem. During this time, she has met more than a thousand entrepreneurs and evaluated many startups in incubation centers, techno-parks and universities. She was one of the key figures behind Turkey’s first technology incubation center, launched by Ericsson in 2000, where she worked with leading telecoms operators from China to South America. She and the team were instrumental in building the Turkish mobile VAS market. In 2007, Gulay founded GEDS Business, a consultancy company focused on innovation and entrepreneurship in technology industries across Europe and the Middle East. She is also the founding president of a Turkish project-management NGO called PMI TR. She holds a BSc and an MSc in electrical engineering from ITU in Turkey and UNL-Lincoln in the US. She can be found on her website, www.gulayozkan.com or on Twitter at @GulayOzkan.